Sign up to see our latest sites for sale and more! Huge Increases in Number of Men Shopping Ecommerce—Are You Missing This Opportunity? In this article, we will provide some interesting facts about men as online shoppers/purchasers. And, we will make the strong argument for considering an ecommerce business that provides products men may be shopping for. According to Business Insider, in the article titled “The Surprising Demographic of Who Shops Online and On Mobile Devices,“ dated in 2014, “when it comes to e-commerce, men drive nearly as much spending online in the U.S. as women” even though women control 80% of the purchasing decisions. We know the numbers in this article are a couple years old; however, undoubtedly the numbers of men shopping online has grown instead of decreased since 2014. In the article, “Ecommerce Statistics All Retailers Should Know“, TrueShip.com reveals “Men between the ages of 18-34 are the most likely demographic to make an online purchase, followed by males between the ages of 35 and 64”. 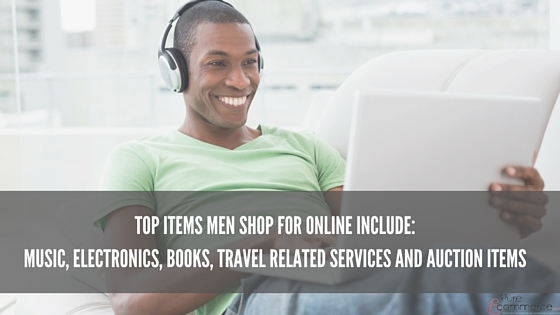 Men are shopping at ecommerce stores for music, electronics, books, travel related services and auction items. Men also tend to by higher priced items online versus women. When men shop online they have a “mission in mind”, they look online for a certain type of product and make their purchase once found to complete their “mission”. How are Men Shopping Online? Business Insider also states in this same article that “Men are more likely to make purchases on mobile devices,” citing that 22% of men purchased on their smartphones in 2013 out of a total f 52% who made a purchase online. Marketing Tech Blog reports 18% of men use shopping apps provided by retail stores. Men are also more likely to “showroom”, which mens they look at the item in a brick and mortar store then purchase the same item through an online store. What are the Online Shopping Habits of Men? Men want quick and simple when shopping online. Men shop when the need is immediate. Men stop shopping when they find what they want. 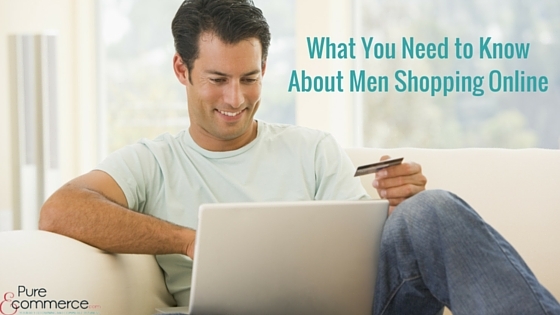 Men are more likely to shop and purchase for themselves. Men aren’t as likely to shop sales and discounts as women are. Men do their research when shopping (need product descriptions, product comparisons, product reviews). 85% of men shop using their laptops. 45% of men bought using a smartphone or laptop. 91% of men scanned a barcode when shopping online. What Can Ecommerce Owners Learn? Include a product mix that appeals to men and market to them. Make sure your website is mobile-device-ready. Spend time on your SEO so searches make finding you easy. 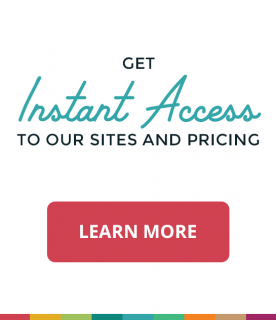 Design your website with quick, easy search and purchase methods. 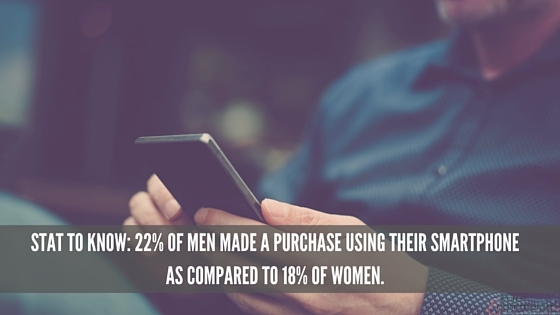 At Pure-ecommerce, we have seen the numbers and the need for online businesses to target the male shopper. In response, we have created several specialty websites already for easy “business-in-a-box” solutions if you would like to market to the male demographic. They include niche markets such as sports, outdoors and emergency preparedness. So, take a look…and become a player in this growing ecommerce segment! Sign up today to receive our weekly email newsletter and hear about special deals! Pure-Ecommerce offers drop ship ready-to-go internet businesses with 40 hours of step-by-step consultation and training. Our mission is to take anyone with little to no ecommerce or business experience and help them step into an ecommerce business and then work with them ONE ON ONE - teaching them every aspect of setting up, running and growing an internet business. Start your own online business today! BlockPartyGear.com - Be Your Own Boss - Work from Anywhere! Pure-Ecommerce offers complete, ready to go ecommerce businesses in some of the leading niche industries online. Our business in a box solutions allow you to step into ecommerce right away even if you have little to no experience! Visit us at: Pure E-commerce to learn more.